Log in your 17TRACK account. 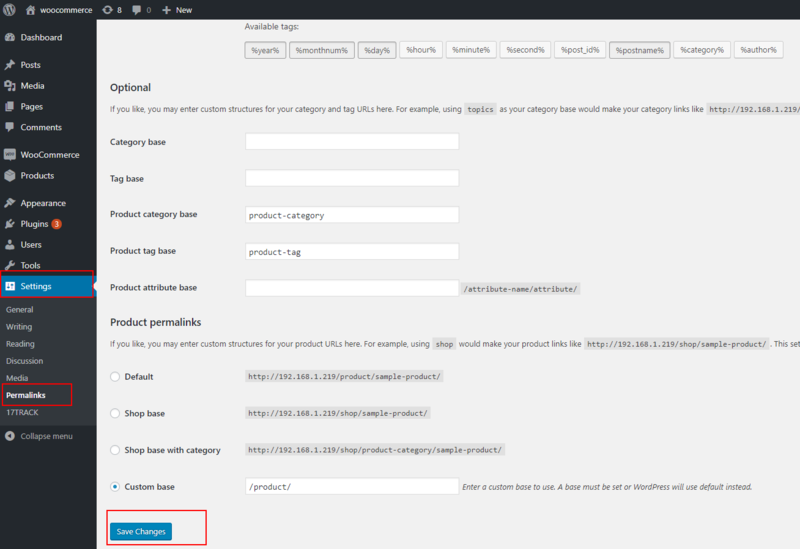 Click Shop Management > Select Woocommerce > Add a shop. Enter the API KEY and Url. Copy the address link (URL) of your shop from your browser then paste the URL you just copied into the input box. Log into the backstage of Woocommerce. Click Plugins, search 17TRACK, click Install Now and then click Activate. Click Users > Your Profile. Find 17TRACK and check Generate API Key. Click Update Profile to get the API Key. 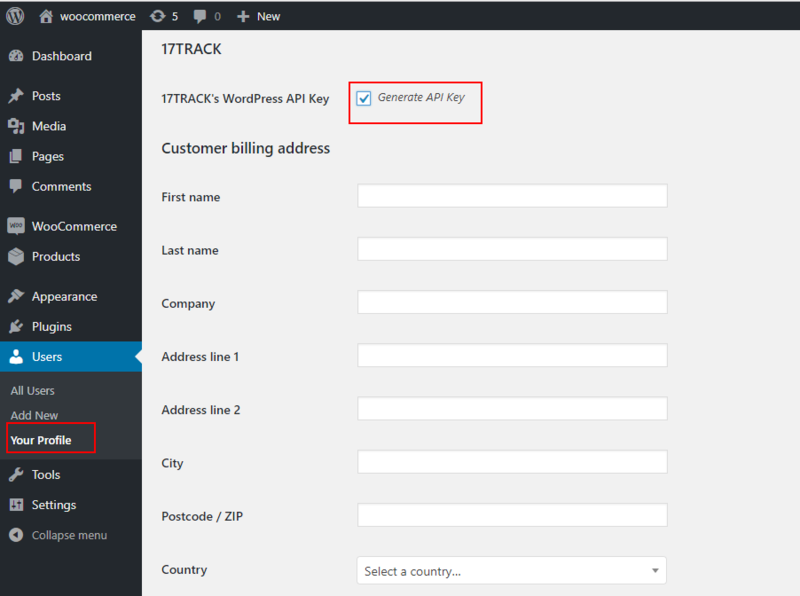 Enter the API Key and the Url of your shop in 17TRACK Seller Center. Click Settings. Add the frequently used carriers in the 17TRACK Settings and save. Add the tracking numbers and the carriers for your orders. Our system will automatically synchronize and track your orders. ¡Describe tus problemas o comparte tus ideas con nosotros!